Tales by Light is an Australian documentary series airing on National Geographic and Netflix worldwide. Tales By Light follows photographers from around the world as they push the limits of their craft to get the ultimate shot. Filmed entirely in 4K in over 15 countries with high production value and skeleton crew, DOP & directed by Abraham Joffe ACS. Blake worked as a cinematographer on Seasons 1 to 3, an aerial cinematographer in season 2 and 3 and underwater cinematographer in season 3. Blake worked as a camera operator and aerial operator on the film. ‘Our Town’ celebrates the local bush characters who make the Australian outback what it is. The tourism promotional film is available on QANTAS in flight entertainment on all domestic and international flights. Blake worked as a co director, cinematographer and aerial cinematographer on this film. A Japanese road trip in a newly purchased 90’s Japanese car with culture and lots of fun along the way. Mighty Car Mods has nearly 3 million subscribers on YouTube with this film reaching over 1 million view within the first week of publishing. This 4k cinematic documentary was shot over only 5 days with nearly 3 hours of content making it to the final edits. Big Cat Tales documents present-day lives of families of the lions, leopards and cheetahs of the Masai Mara National Reserve in Kenya. Each episode follows individual characters, drawing the viewer in on a personal journey. This wildlife documentary was shot in 4K+ with top of the line cinema servo zoom lenses and is currently airing around the world on Animal Planet. Photographer Josh Smith has found his niche photographing Australian land from a new angle. 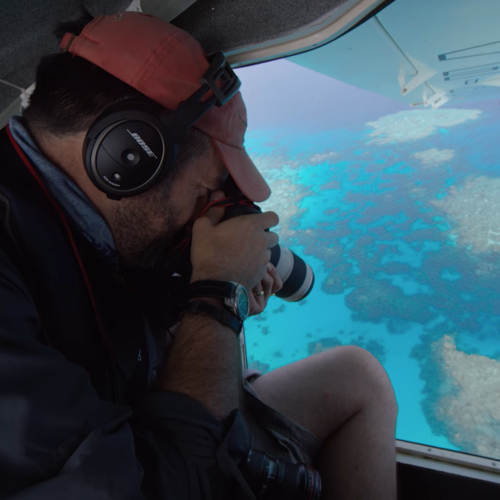 He has set out on a new project to show Australia's reef from above to show the beauty in a new light. 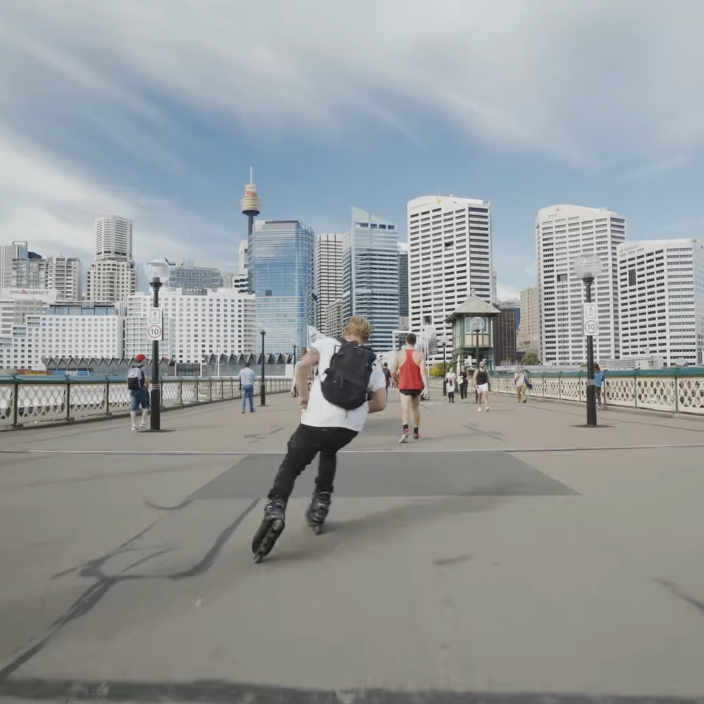 Filmed in 4K for Canon Australia online content. SK-II Wonderland Tokyo is the new age beauty shopping experience like nothing you have experienced before. The room comes to life around you using interactive augmented reality instalments to entertain and inform people about the science behind Pitera. This production with filmed in Tokyo for SK-II’s pop up store promotion. The sage musicality of ARIA award winning Oud player and composer, Joseph Tawadros, is demonstrated at full strength on his latest album, World Music as he enlists an array of intriguing instruments from across the planet to create richly textured global landscapes. This video was created for the launch of the album and to engage audiences with the wide variety of instruments used within the recordings. Produced by Blake Castle. Blake was the sole producer for this project. Sydney's skyline comes to life once a year with Vivid Light Festival. Canon Australia hosts workshops and demonstrations to showcase their equipment and encourage people to enjoy taking photos during the festival of light. This video was created to engage audiences to see the festival and to come interact with Canons instalments. This was done by capturing motion timelapse using a motorised slider and hyperlapse to create an exciting look in to the festival. Aerial Rural Landscape Photographer, Josh Smith's mission is to tell the story of Australian farmers. Through his photography, he showcases the scale and beauty of what they do with our land. By turning his photographs in to fine art prints, Josh hopes to get the hard work of our Australian farmers recognised throughout the country. PilotFly's new H2-45 Gimbal allows users to get super stable footage without sacrificing viewing the screen. This video was created as promotional content to give a real life view to a use case for the PilotFly H2-45 gimbal.